David Whitley, an Oxford graduate, wrote his first children’s novel at age 17; it was shortlisted for the Kathleen Fidler Award. At 20, he was the youngest person ever to win the Chesire Prize for Literature for a children’s short story. He lives in England. You can read excerpts of his debut, The Midnight Charter, at David Whitley’s website. The Agora Trilogy — (2009-2010) Ages 9-12. Publisher: In a society based on trade, where everything can be bought and sold, the future rests on the secrets of a single document — and the lives of two children whose destiny it is to discover its secrets. In this spellbinding novel, newcomer David Whitley has imagined a nation at a crossroads: misshaped by materialism and facing a choice about its future. He has brought to life two children who will test the nation’s values-and crafted a spellbinding adventure story that will keep readers turning the pages until the very end. For readers who love Philip Pullman, THE MIDNIGHT CHARTER combines great storytelling with a compelling vision — a many layered adventure with powerful and timely implications. 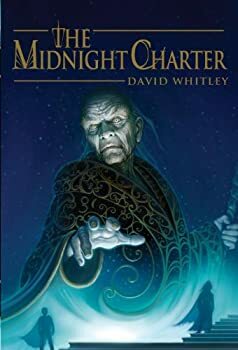 The Midnight Charter by David Whitley is an intriguing YA book with some deep ideas behind it, though it doesn’t quite meet its potential in terms of the story itself. The book is set in the city of Agora, a walled-off dystopia whose workings revolve around a barter-for-everything system: Food, art, labor, even emotions, are commodities of trade. The system has stood for some time, but as the story opens, the needed disruption (otherwise there wouldn’t be much of a story) is about to occur. That disruption takes the form of two orphans and a secret document whose prophecy is about to unfold. 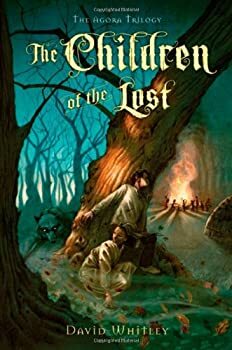 The Children of the Lost is David Whitley’s follow-up to last year’s The Midnight Charter, which I reviewed as a weak three: strong in ideas but weaker in characterization and plotting. The Children of the Lost is a stronger book, though it also has its flaws. One thing I feel compelled to point out upfront, however, is that The Children of the Lost ends in a true cliffhanger of an ending, and so those who find such endings annoying may want to hold off until the third book comes out (I assume next year).